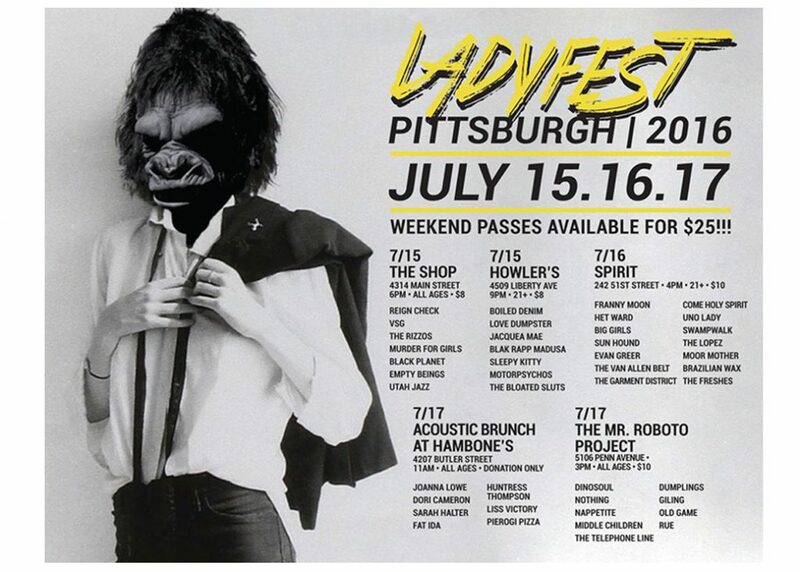 Escape the RNC and travel to near by Pittsburgh (aka Pizzaburgh) for LADYFEST! Ladyfest is an annual three-day festival featuring female-fronted and female-dominant acts. Ladyfest showcases the contributions women musicians are making in various genres. A portion of the proceeds benefits the Women’s Center & Shelter of Greater Pittsburgh. Ladyfest is July 15-17. Uno Lady performs Saturday @ Spirit around 9:30 pm.